As we posted earlier, HTC Senior Instructor Chris Fitzgerald is in Viet Nam this week, training first responders from the National Department of Rescue and Relief. Also being trained are Personnel from Tuyet NGA Co. Ltd., a supplier of security and rescue equipment, who is an Agent/Dealer for Neoteric Hovercraft, Inc. The two hovercraft in the video were purchased by Tuyet NGA and will be used by the National Emergency Response team – which will be a great asset in a country plagued by monsoons and floods. 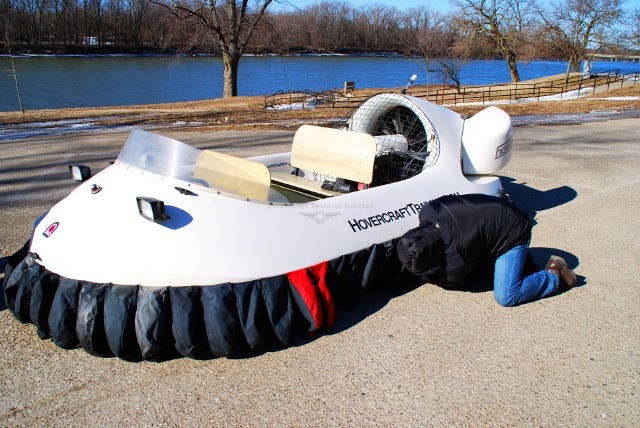 Sometimes a commercial hovercraft is the only vehicle that can get the job done. There’s a sure way to discover if that’s the case for your company: follow Tetra Tech’s lead and take a training course at HTC to experience hands-on what a hovercraft can do for you. It’s the logical first step. Based in California, Tetra Tech is a global consulting, engineering and construction firm with 330 offices worldwide. Tetra Tech also provides disaster management and Homeland Security services; it has responded to more than 2,000 chemical, biological, radiological, nuclear and explosive events, as well as natural catastrophes such as hurricanes, earthquakes, floods and tornados. Chris Fitzgerald; and David Bennett. Tetra Tech has a military contract to conduct an ordnance removal project in Puerto Rico that will involve transporting equipment over coral reefs. Boats are typically used to carry the equipment, but boats can damage the coral. Hovercraft, however, will enable them to fly 9 inches above the surface of the water, pushing or pulling the equipment on a raft - working safely and efficiently while protecting the coral reefs. After challenging day of training, David and Richard felt even more strongly that hovercraft were up to the tasks facing Tetra Tech. They’re now working with Neoteric who will custom-design their craft with special accessories to meet their needs. See a complete photo gallery of the day's training session on Facebook. 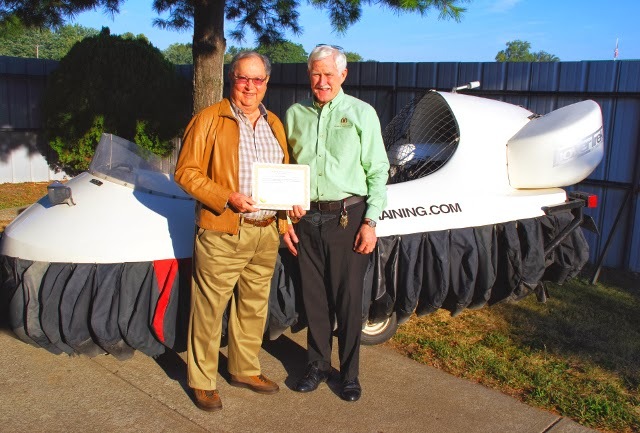 Hovercraft Training Centers performs hovercraft pilot and maintenance training throughout the world. This week HTC founder and senior instructor Chris Fitzgerald has traveled to the Tuyet Nga company (Russia Snow Co. Ltd.) in Hanoi, Viet Nam to train company personnel as well as first responders from Viet Nam’s National Department of Rescue and Relief. Tuyet Nga is a supplier of security and rescue equipment, with offices in Hanoi, Ho Chi Minh City and Da Nang. 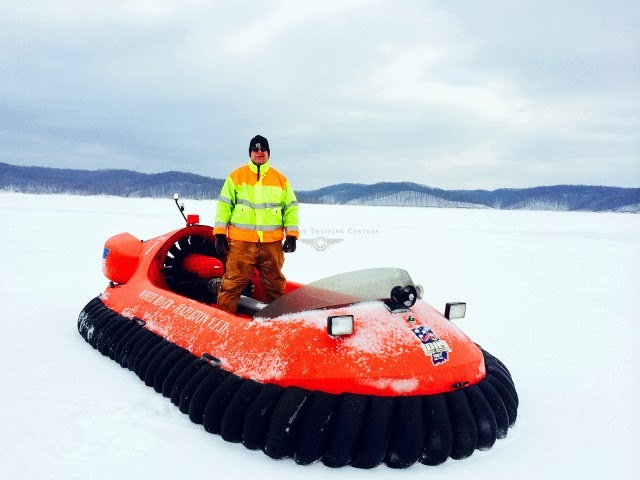 In December, the company purchased two 6-passenger Neoteric Rescue hovercraft, to be utilized by the Department of Rescue and Relief. 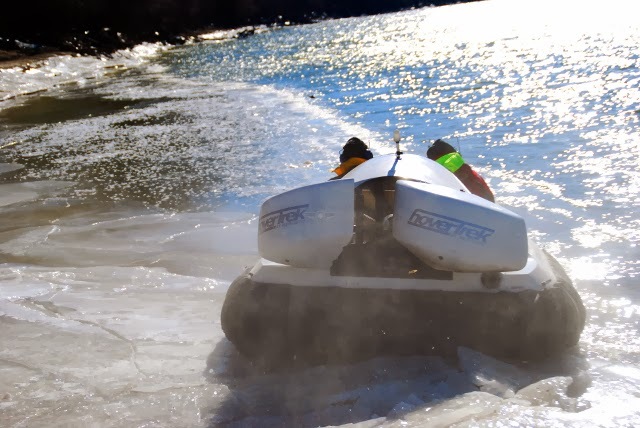 Whether you come to us, or we come to you – and no matter where you live or what type of hovercraft training you need, HTC is here to serve you! When you undergo pilot and maintenance training at HTC, your training doesn’t necessarily end when you complete your course. 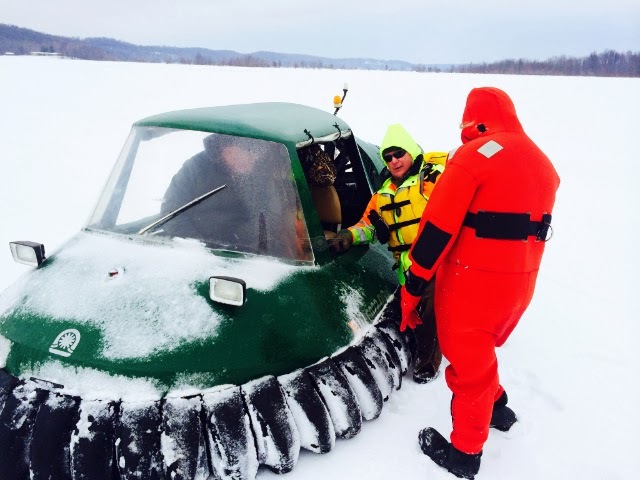 For instance, HTC flight instructors Chris Fitzgerald and Steve Stafford recently met with first responders from the Hazelton Fire Department and the Perry Clear Creek Fire Department for ice rescue training exercises on Lake Monroe. Located near Bloomington, Lake Monroe is the largest lake in Indiana. 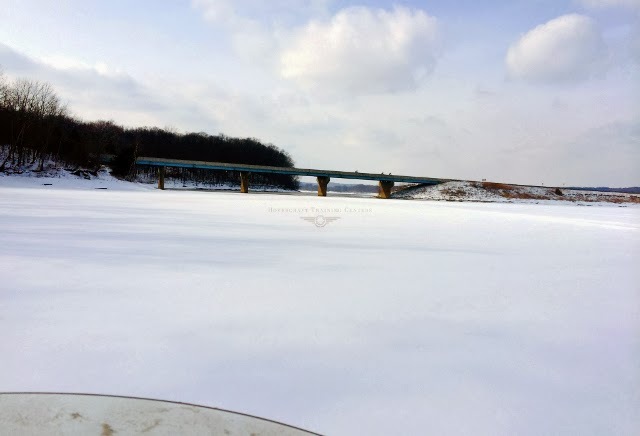 With below-freezing temperatures and a lake covered with snow and ice that was thin in places, the conditions that day were ideal for ice rescue practice. 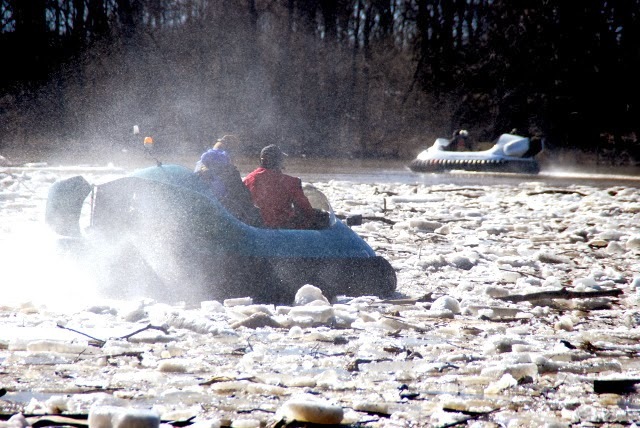 First responders: see for yourself how hovercraft keep you out of the danger – not in it! 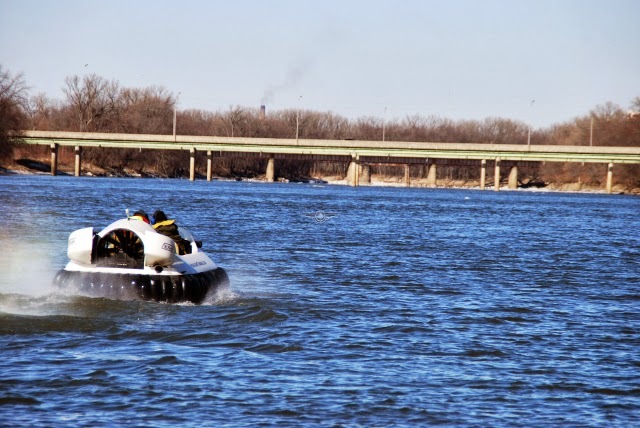 Hovercraft Training "goes to the dogs!" 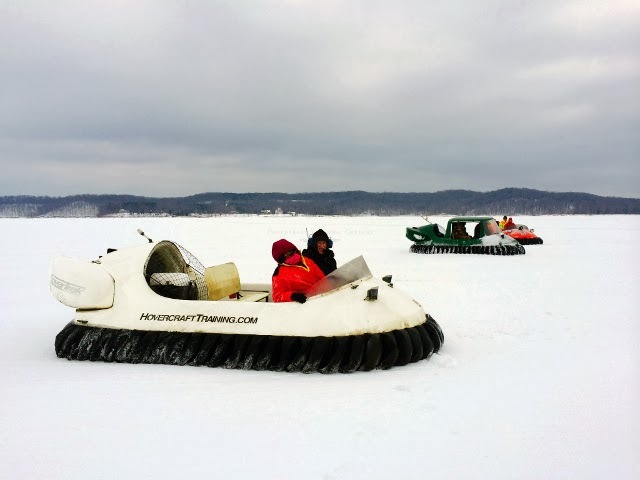 Would someone in your family enjoy a hovercraft ride? 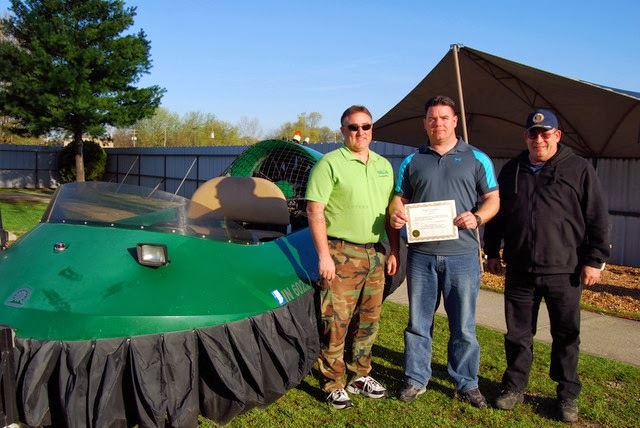 instructor Steve Stafford (left) at Hovercraft Training Centers. 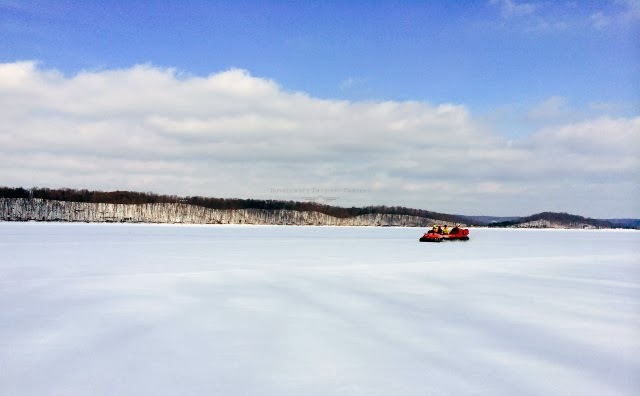 Tell us in a comment: Have you ever witnessed an ice rescue? How does this compare? Take to the Outer Limits! Ron Michaels (left) and Ryan Peacock (2nd left) complete pilot training with instructor Steve Stafford (3rd left) at HTC headquarters in Indiana, accompanied by USCG Cpt. Josh Eiler (right). 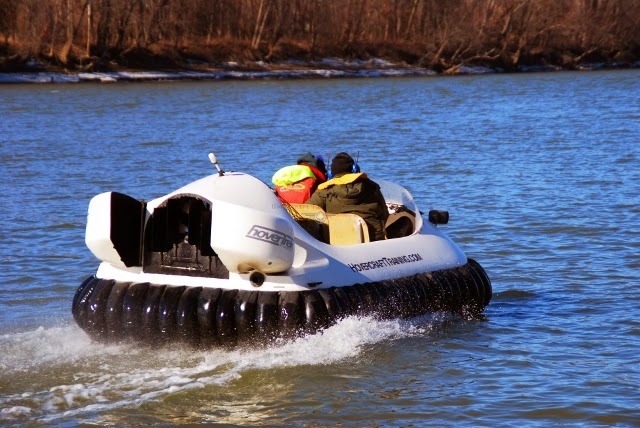 Outer Limits offers two different hovercraft experiences. For daredevils, there’s the Hovercraft Thrill Ride – 30 minutes of spinning, flying backward and other moves that get the adrenaline rushing. Or there’s the 2-hour Eco Adventure Tour through the scenic Ten Thousand Islands, with stops for shell collecting, beachcombing and wildlife watching. from land to water you don’t feel a thing. It’s amazing!” adds Ryan. 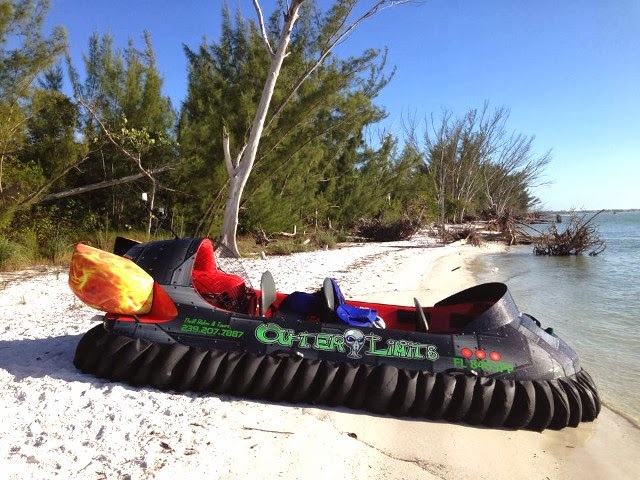 Learn more about Outer Limits Hovercraft Tours and follow Outer Limits on Facebook. Then leave a comment below for Outer Limits. 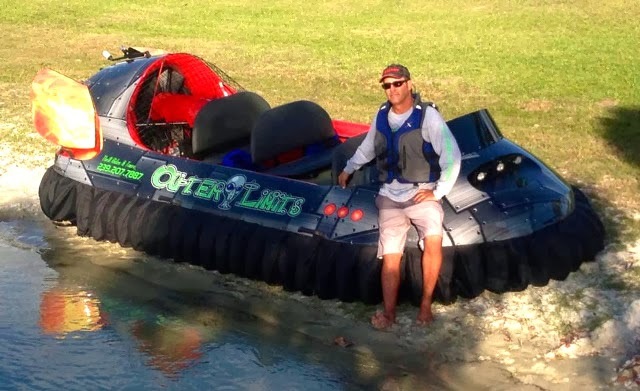 Or tell us how you or someone in your area could reach the outer limits with a hovercraft! Let Cupid take flight in a whole new way! A card, chocolates, dinner … sure, that’s fine. But here’s a way to make this Valentine’s Day the sweetest one ever. 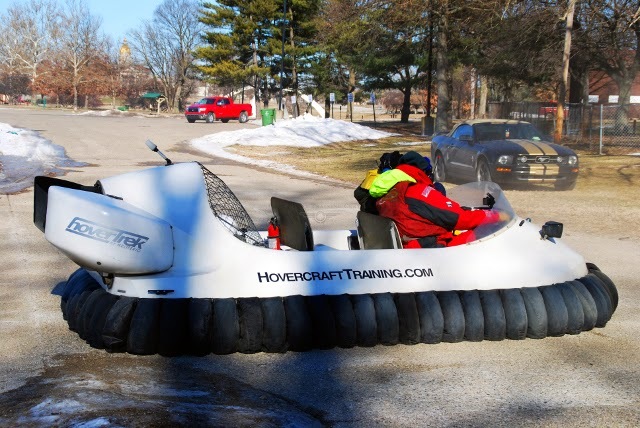 Treat your significant other to a Neoteric hovercraft joyride at HTC headquarters in Terre Haute, Indiana! Are you ready to give the most unique gift possible? Just click the link below to sign up and we’ll contact you within 48 hours to schedule the flight for the date of your choice. Then we’ll email you a gift certificate to enclose in that Valentine’s Day card. 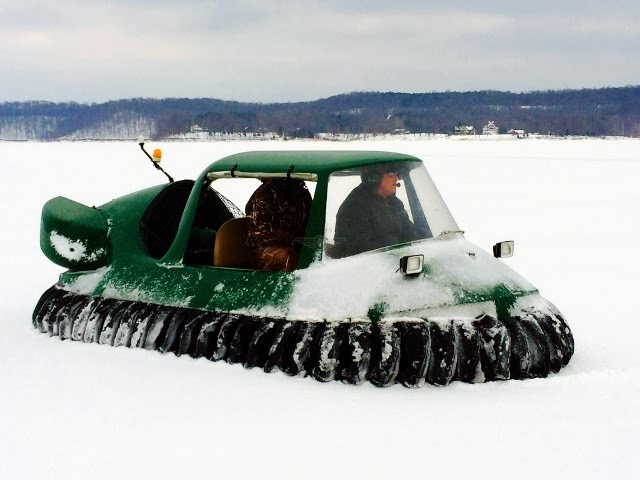 There’s no better way to hover into your lover’s heart than the gift of a flight on a Neoteric Hovercraft – the makers of Bubba’s Hover, Bubba Watson’s BWI hovercraft golf cart! Let Cupid take flight – sign up now! 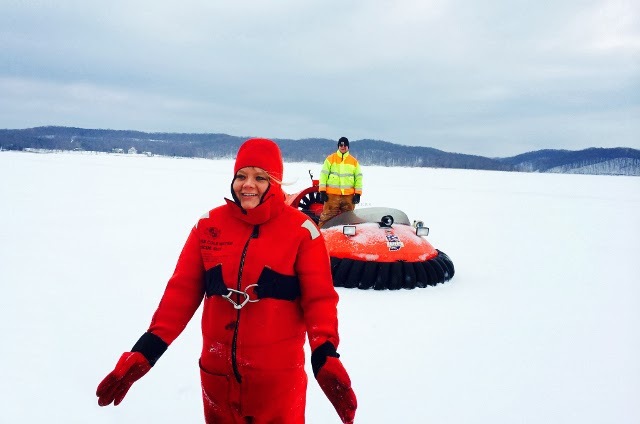 First responders: Is a hovercraft right for you? 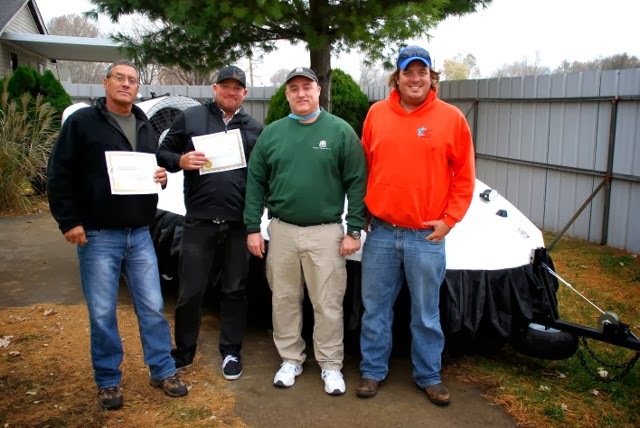 There’s no better way for first responders to determine if a hovercraft will suit their rescue needs than to undergo a training course at HTC – just like Chris Kleppe and Sean Geib. Chris (Supervisor) and Sean (Assistant Supervisor) are in charge of the University of Wisconsin Lifesaving Station in Madison. 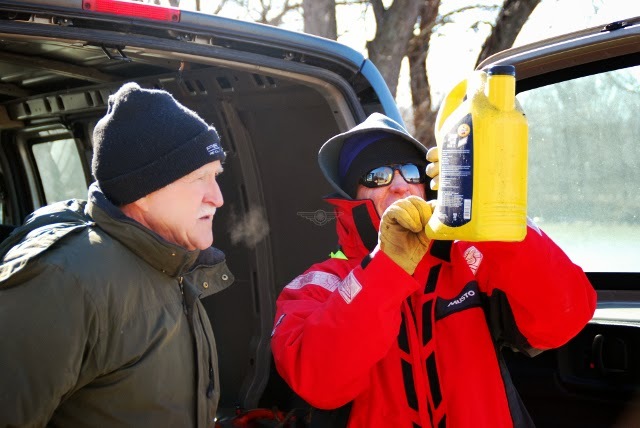 Established in 1909 on 10,000-acre Lake Mendota, the Station is a safety and rescue operation for both the University and the city of Madison. 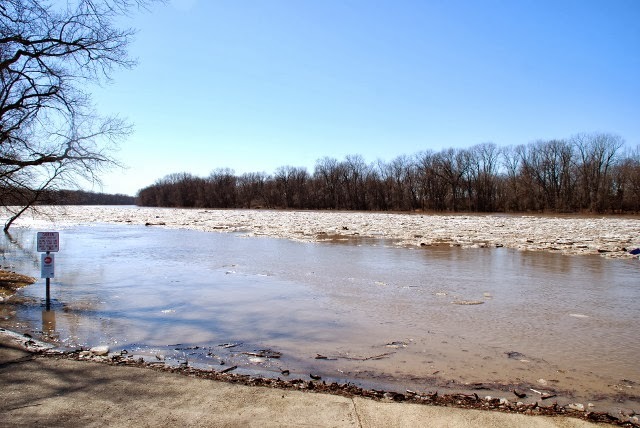 to fuel the hovercraft at the Wabash River training site. Next, Sean inspects the skirts as they learn to conduct a thorough preflight inspection. on the partially-frozen river for his first flight instruction session. able to travel safely and easily over thin or broken ice. Now Chris learns how to fly the craft over water. 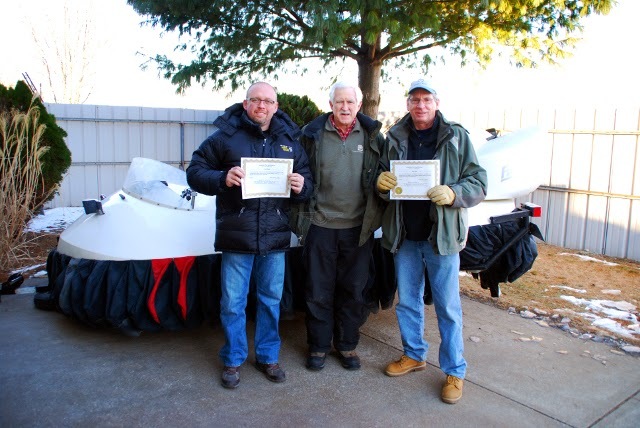 During their flight training sessions, both Chris (piloting the craft) and Sean (waiting back on shore for his session) receive constant feedback and instruction from their HTC instructor via wireless headsets. “We both felt the training was very important. Floating on air is the best way to describe how it felt to me. Certainly the feeling was completely different than any other vehicles that I have piloted. Most surprising was the need to think way ahead of any maneuver that was made. Without the training, I could foresee a future disaster by way of a crash. To anyone trying to pilot the craft with no training I would say, ‘DO NOT DO IT.’ Plain and simple. Alberto Torruella is a man who knows his business. The 80-year-old attorney comes from a background of sugar cane farming in Puerto Rico. Then things got interesting: “Initially our business was sugar, but my great-grandfather started producing rum. After Prohibition, we set up a distillery and went into the rum business, which was kind of a secondary business at the time.” Alberto’s “secondary business” is now the Serralles Distillery, makers of Don Q Rum. It’s not only the largest rum producer in Puerto Rico, but the second largest producer of quality rums in the United States. Then a decade ago he went into the hotel business as well, and when he bought his first hotel, he added a golf course. 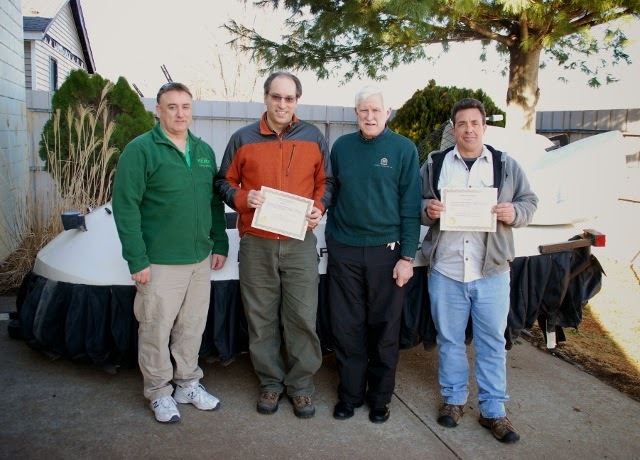 Alberto Torruella (left) receives his pilot certification from HTC Senior Instructor Chris Fitzgerald. 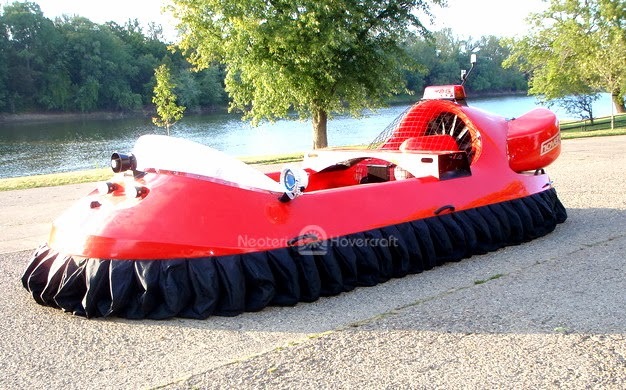 Considering a hovercraft for business or pleasure? Test the viability of your plan with a Test Flight or Training Course.